The most popular and fashionable women's marathon in China will be held on October 28th on Nanbin Lu. 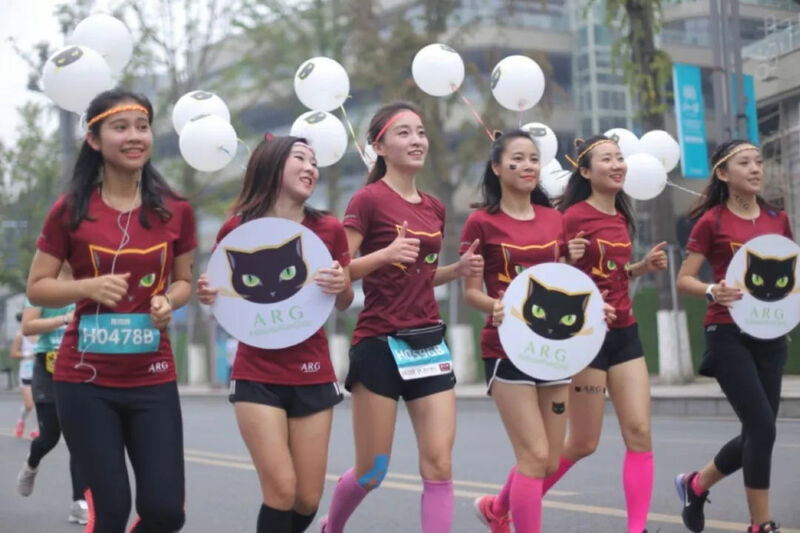 The Chongqing women's half marathon - "SHERO2 1" has attracted runners all over the world. Certified by the China Sports Association as "Silver Medal Competition", the slogan "SHERO" has became a brand name for Chongqing International Women's Half Marathon. The theme of "Run 4 Beauty" is to let participants have beautiful run through the whole event, not just successfully and comfortably complete the event. Together with Chongqing international fashion week, "sports + fashion" has become the symbol for the Chongqing Women's Half Marathon. The Organizing Committee has invited Ms. Zhang Yichao, Art Director of Chongqing International Fashion Week, to design derivatives for the game with artistic and fashion sense. The game is organized by China Track and Field Association, Chongqing Sports Bureau, Chongqing Nanan Government etc. The competition includes half-marathon (21.0975 km), ten-kilometer run, mini-run and mini-parent-child run. The half marathon is 2500 people, the 10-kilometer 2700 people, the mini-run 3000 people, and the mini-parent-child 900 groups (2 people in each group). The organizing committee has added time chips to all the above races, including both the mini-race and the mini-parent-child race, a rare move in the five-kilometer race in China. The marathon starts at the Riverside Park in front of the Sheraton Hotel. To sign up, check http://cqwm.sports.letv.com.